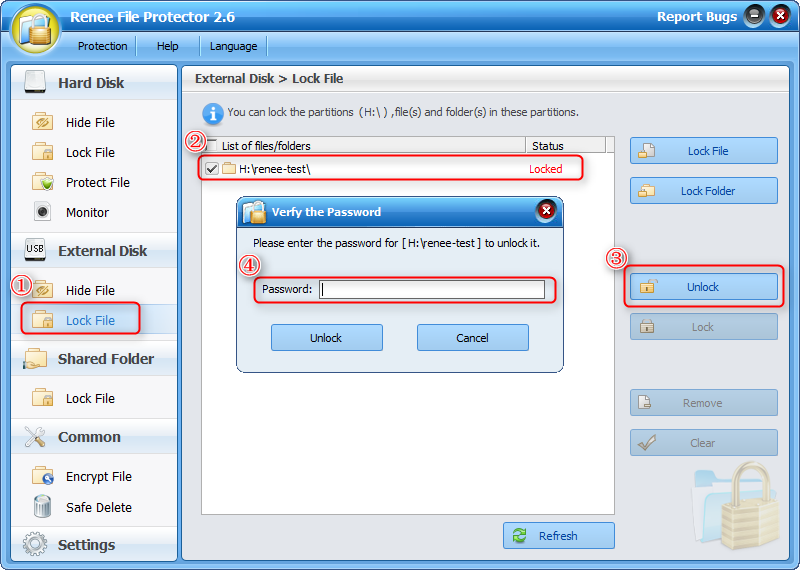 Want to password protect external hard disk but do not want to influence the normal use of the free space and not-so-important files in external disk? 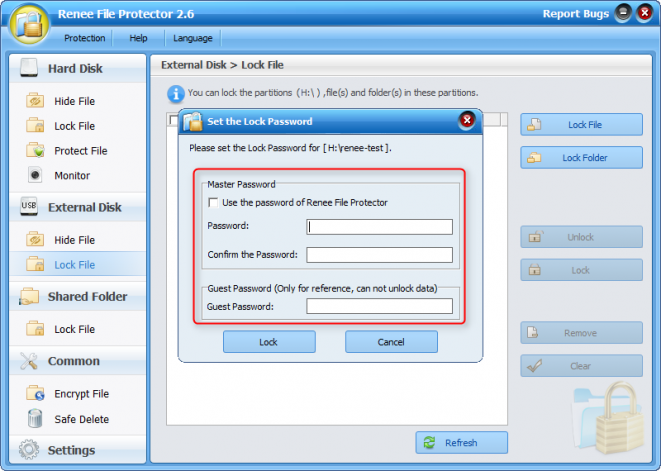 Try professional external hard disk encryption software - Renee File Protector! With the advent of technology, portable memory devices like external hard disk, USB drives, SD card, etc. help us to carry data on the go. But these devices have their own disadvantages like it is easy to lost or even fall into wrong hands, which means all the data inside will be compromised. Can we get a better protection to the folders in the external hard drives and portable devices? Then nobody can get access to the files or data inside the devices without authorization. The best way is to protect these data with password which is set by your own! In Windows, we can password protect the folders which is saved in computer with the built-in encryption function. But how to password protect external disk at will and will not influence the normal use of the free space and not-so-important files? 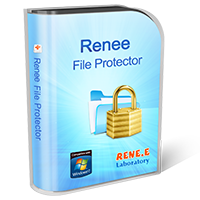 You can try the professional data protection software – Renee File Protector. Helps you password protect folders with important files in external hard drive or USB with a few simple steps but with professional encryption. 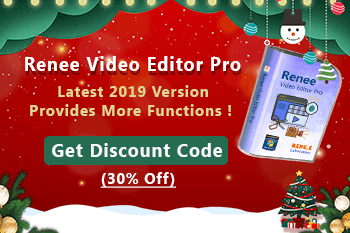 Download and try the free version of Renee File Protector! Password protects folder and files in external memory device like USB disk, memory card, etc. Password protect network folders to ensure corret users get access to correct shared folder. Supports to hide, lock folders/files/parititon in local disk. Erase data you select forever without trace. Protect your personal data! people have download Renee File Protector to get overall protection. Not enough protection? No only want to protect the data inside the computer but also prevent from outside threats? Professional USB Port Locker – Renee USB Block may help! Disable auto detection of USB port, bluetooth, CD/DVD devices, etc. 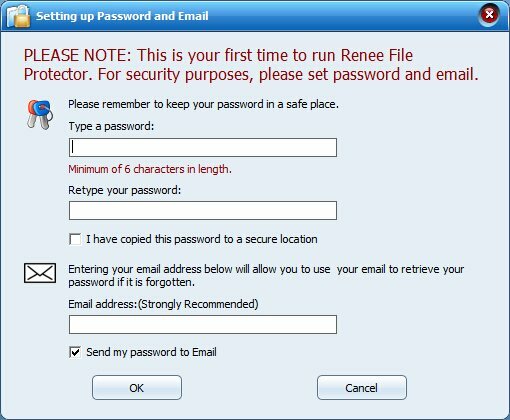 The first time you use Renee File Protector, you will be required to set the master password. Here we recommend you to set the email address because it can help you recover the master password when you forget it. Step 1: Launch Renee File Protector and go to “Lock File” in “External Disk“. Then connect your external hard disk/external memory device to computer. 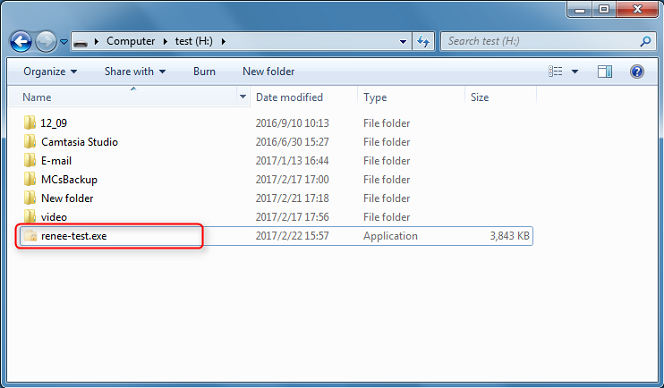 Step 2: Click “Lock Folder” on the right side and select the target folder in external hard drive. After selecting the folder, you need to set the password. Renee File Protector provides 2 password modes: the master password you set when using the software for the first time and the independent password. *Now, new version provides “Guest Password” which can authorize users to check the files but can not unlock. Step 3: Check & edit the files inside the password protected folder. 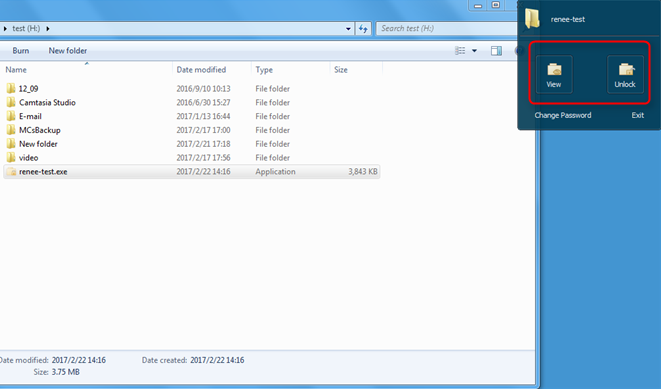 After lock, it will create a new file named “(original name of the folder).exe”. Then the original folder will be deleted automatically. If you want to access the password protected folder and edit the files inside, please click this .exe file and then enter the related password in the pop up window. 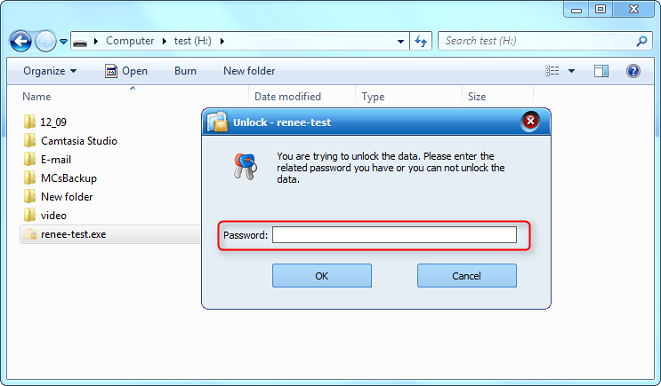 Step 4: After entering the correct password, a floating window of the password protected folder will be shown on the right-top corner on desktop. You can click “View”, “Change Password” and “Unlock” to make the operation you want. How to Unlock the Folder Permanently in External Hard Drive? After lock, it will create a new file named “(original name of the folder).exe”. Then the original folder will be deleted automatically. If you want to unlock folder permanently, please click this .exe file and then enter the password you set before in the pop up window. After unlock, please click “Unlock” in the floating window and confirm the operation. If you want to unlock the folder in your own computer which you password the folder in, you can unlock it with Renee File Protector. ①. Click “Lock File” in “External Disk”. ②. Select the target folder(s). ④. Enter the password you set. No so clear about the operation? Get more from the video! 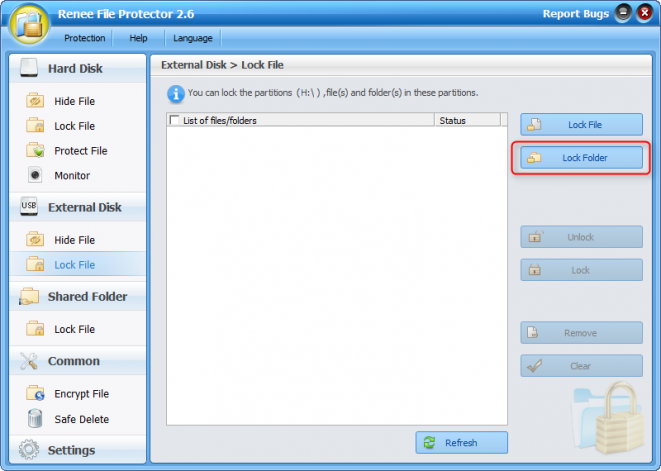 Still annoying about how to protect your secret folders in the external hard disk? Now using Renee File Protector can solve this problem at once!